The Occupational Safety and Health Administration (OSHA) is a federal organization that was created by Congress to assure safe and healthful working conditions for employees by enforcing workplace standards and laws. All private sector and post office employees are covered by the federal OSHA program, or by a state-operated OSHA program. Public sector employees are not covered under federal OSHA, and may only be covered in states that have a state-operated OSHA program. Employees cannot be terminated or punished in any way for exercising her rights under OSHA. If this occurs, contact an attorney immediately as complaints usually have to be filed within 30 days. Can States Have their Own OSHA Program? States can and do have their own OSHA programs, but they are required to be at the very least, as effective as the federal program, and must provide workers with similar protections. What are the Worker’s Responsibilities? An unsafe work environment occurs when an employee is unable to perform her required daily duties because the physical conditions of the workplace are too dangerous. For instance, exposed wiring, broken equipment, hazardous materials, or asbestos could pose an unsafe working environment for employees. This type of condition can affect equipment, one room or one part of a building, or the entire property. What is an Imminent Danger? What if You are Not in Imminent Danger? If you are not in imminent danger, you should still report the situation, starting with your supervisor. Be sure to document your report, and if for some reason you are afraid of losing your job, you can contact OSHA directly and file an anonymous complaint. Legally, it is usually best to not resign from your job. The reason being, is because you may not be able to retain the right to file a valid complaint if you quit. What Is the Imminent Threat to Life Rule? You may refuse to work if your workplace environment poses an imminent threat to your life. This right is only reserved for situations that threaten your life, and may only be exercised until the problem is fixed. Which Laws Cover Unsafe Work Environments? Both federal and state laws may cover workplace conditions. 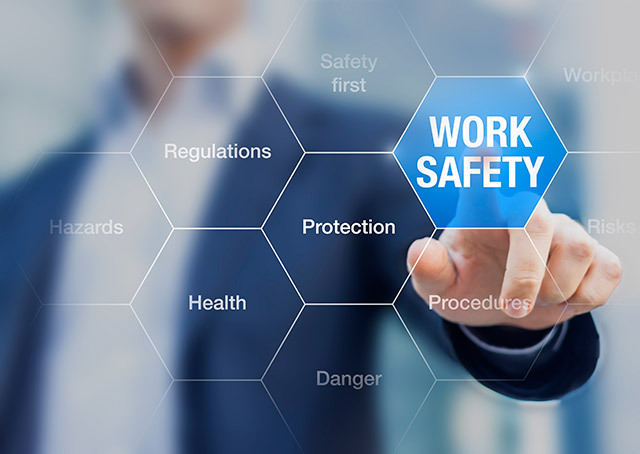 OSHA is tasked with issuing regulations for the workplace, and states issue health and safety codes, as well as labor laws that cover work environment issues. If an employer violates the code, courts usually treat it as prima facie evidence of negligence liability. If the employer violated a state regulation regarding workplace safety, you may claim negligence under that specific regulation. If no one was injured because of this violation, the employer may be fined. If an employee was injured, the specific state law can be included in the negligence claim. If a state law does not apply, the injured employee may sue under common law negligence. Under federal law, the Occupational Safety and Health Act (OSH ACT) was enacted to ensure that all employees have a safe and healthy work environment at all times. This Act can differ depending on the seriousness of workplace hazards. All employees, except public employees and the self-employed are covered by the OSH ACT. If it is an imminent threat to your life and those of your co-workers, call OSHA’s emergency line at 1-800-321-6742, or 911 in the event of an emergency. What are Some Common Workplace Safety Violations? Not all violations occur at the workplace, as they may also occur at a company event or in a company vehicle. What Steps Can I Take if I Have a Workplace Safety Complaint? Inform your supervisor; if they have the authority, they may be able to correct the situation. File a complaint with human resources. Usually, complaints are filed starting with your supervisor. If that doesn’t work, go up the chain of authority. If it is serious, you may have to go straight to court. In some instances, the complaint may have to be filed with OSHA before the court will hear your case. What are Some Remedies for Workplace Safety Violations? Damages for medical bills, hospital stays, rehabilitation, etc. Can I Hold My Employer Liable, If They Fail to Meet Certain Safety? Yes. If you were injured because your employer was negligent or failed to meet safety standards, they can be held liable. Since there are varying degrees of liability, particularly if you had been warned of the danger, it is advised to contact an attorney to discuss your case. Unsafe working conditions, and especially imminent danger can be very serious matters. If you have been exposed to such an issue, speaking with an employment attorney is highly recommended. Timeliness is crucial, and an attorney can help you file your claim, advise you of your best course of action, and represent your best interests in court.